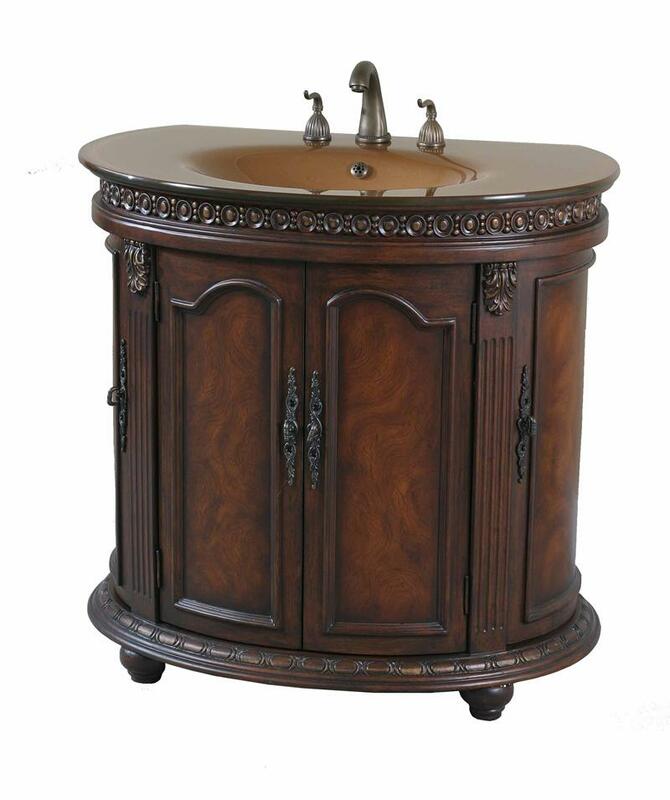 piece of shimmering copper tempered glass encompasses the top and the basin. Open the center doors and spacious storage is reveals with a removable shelf. Additional storage can be found in the side doors that comes with a fixed shelf on each side. 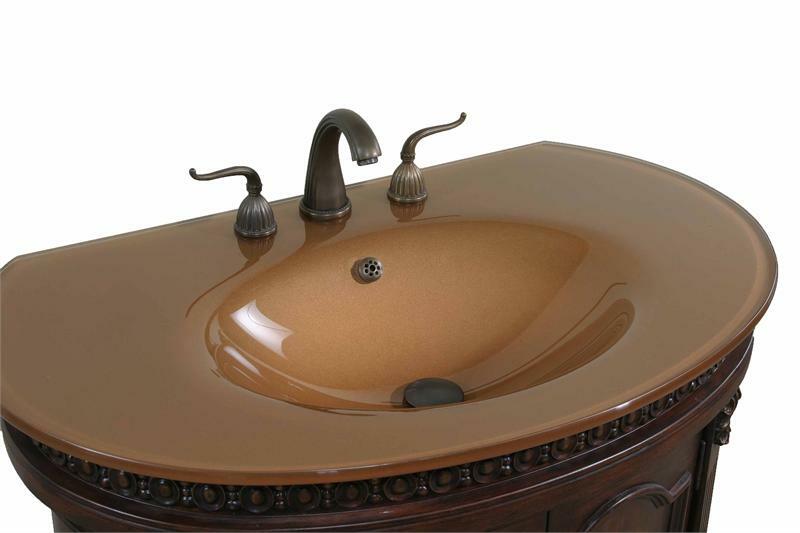 Faucets shown in vanity pictures are not included. 1 Non Adjustable Shelf - 17.5" x 21" x 13.5"
Side Door Shelf - 1 Non Adjustable Shelf - 16" x 13" x 4.25"